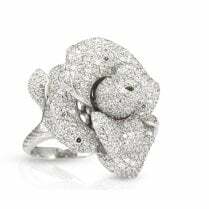 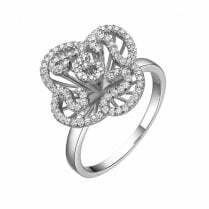 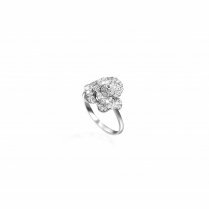 Large Rose flower ring in Sterling Silver with anti-tarnish treated rhodium plate: Finished to a high polish with pavé set cubic zirconia. 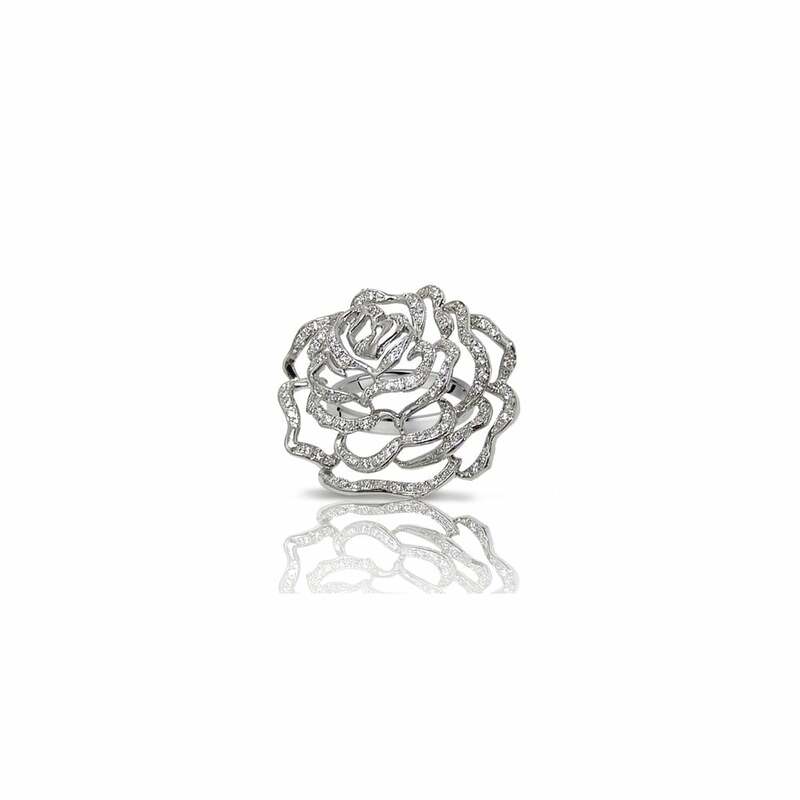 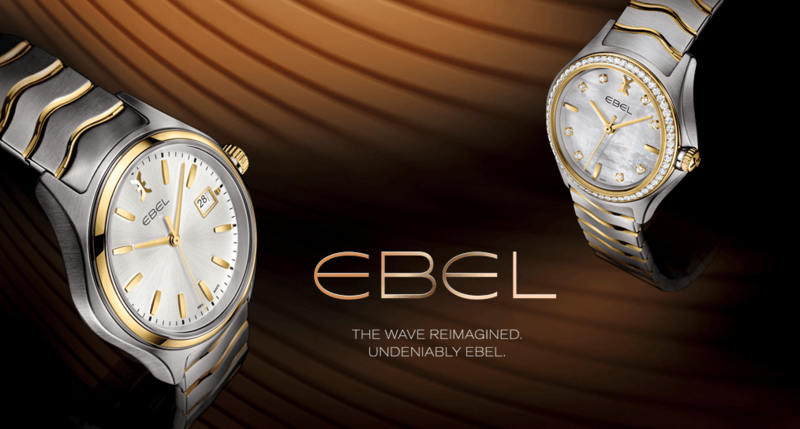 Inspired by the classic English Rose, the Fei Liu Rose collection is a playful twist on classically feminine jewellery. 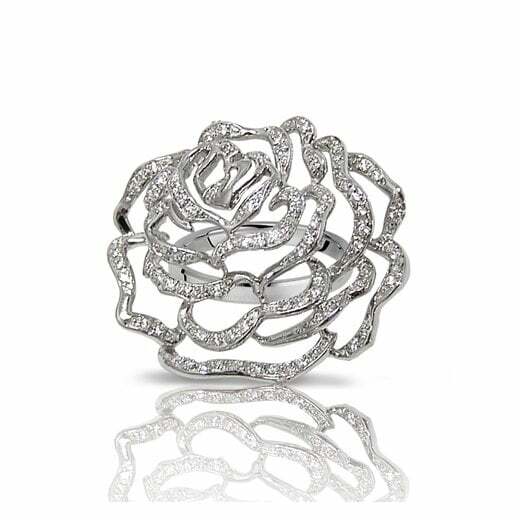 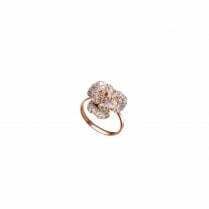 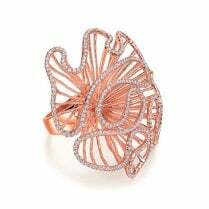 Set with only the finest cut cubic zirconia, Rose is as versatile as it is wearable and will give any outfit a beautiful and luxurious finish.